If there is anything I hate more than content thieves, it’s spammers! Unlike the former who simply steal your content and claim it as their own, spammers attempt to destroy your site by linking to either “enhancements,” products or their own sad blog. Since many bloggers power their weblogs with Blogger (aka BlogSpot) or WordPress (both WP.com and WP.org), here are 3 tips to help keep your blog free from spammers (and perhaps make them cry). Usually the first reaction to dealing with spam bots is to simply enable CAPTCHA’s (aka word verification). Unfortunately spammers have already cracked the CAPTCHA code so unless you want to turn your readers into lurkers please ditch the funky word puzzles–please!! Solution: For Blogger fans I would recommend outsourcing your commenting needs entirely to a third party site (like Diquis) with in-house spam filtering technology and avoid using Akismet (as it can kill off legitimate comments). WordPress lovers blogging upon their own servers can install plugins like WP-Spam Free (by Pole Position Marketing) which ruthlessly destroys 99.99% of spam bots without flagging a human comment as spam (which means less email complaints about spam filters eating up comments for me). If you are on WordPress.com, Akismet is (unfortunately) your only option, although it’s a better alternative than using nothing at all. 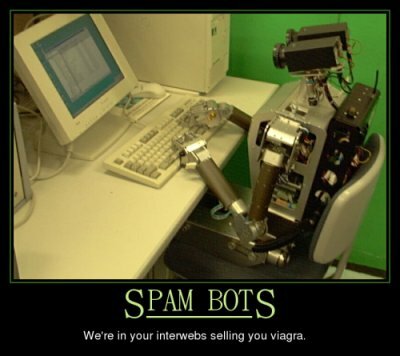 With technologies like Akismet and WP-Spam Free becoming popular, spam companies (or “blog commenting services” as they like to call themselves) are now using humans to spam comment threads. Many hire citizens in third world countries or (thanks to the recession) even in “prosperous” western nations which can bypass both CAPTCHA’s and automated spam filters. Solution: Blogspot fans who choose not to outsource their comment section can simply moderate all comments over a certain time length (like 3 days). This can be adjusted by clicking the Settings tab, then scrolling down to the Comment Moderation section. Blogger users who own an iPhone can also download an app called Blogium, which will help them manage and delete spam comments from their blogspot blogs. Those embracing WordPress (both .com and .org) can have their site hold a comment in moderation if it contains 2 or more links. To enable this within the admin page, click on the Settings widget on the sidebar, then click on Discussion and scroll down to the Comment Moderation section. Automattic has also created WordPress apps upon the iPhone, Blackberry and Android devices (with Nokia on the way) which should also make comment moderation easier when accessing a computer is not convenient. This is more of a WordPress.org dilemma, so Blogspot lovers and WordPress.com fans can ignore this tip. Basically there are a lot of companies that register fake accounts in an attempt to make it easier to either comment or (worse) submit posts to your blog (which can only happen if you have enabled new registered users as subscribers). This can quickly become a nuisance to weed out, especially if one is receiving dozens of registrations a week. Solution: For WordPress fans, there is a plugin called Sabre that can thwart false blog registrations. This should stop auto registration spam, as well as slow down human spammers too. These are three methods that I use to help keep my blogs spam free! If users have any other suggestions (especially for other platforms like MovableType, Joomla, Drupal, etc.) feel free to share your knowledge with the rest of us in the comment section below. Being a Movable Type user in the last six years, I can say that this is a neverending battle. 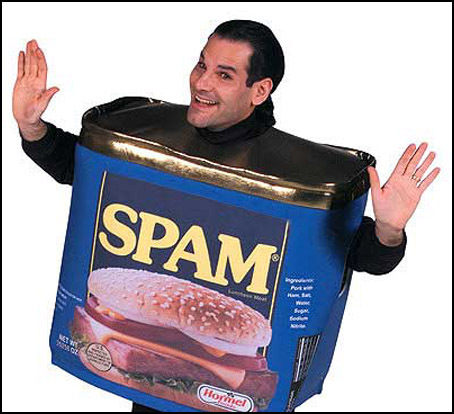 Ultimately we’re able to stop 99% of spam using TypePad AntiSpam, MT AutoBan, MT Moderate, MT Approval and Spam Firewall. And, unfortunately, darned captcha. Yes, it’s a lot of things. And in the last months we’ve been coping with overloads in the .cgi comment script (which we’ve successfully rounded by fine tuning robots.txt, it seems). This last tip came, btw, from a great resource site that I reccomend to all MT users — Maarten Schenk’s movabletips.com. Thanks for the advice, i hate spammers, luckily most of my spam is stopped in its tracks by wp-spam free but you do have to be careful how you set it up, you may well stop genuine commenter’s if not done properly. I get a lot of comment spam from bots scripts that sell all over the web, but these are easy to spot as they are too generalised and never on the subject of the post, you know the ones “great blog have bookmarked your site” ect ect ect. What makes me mad is the crappy or spammy sites linking up to my blog, not much you can do here except ask them to unlink which they don’t do anyway. My solution: Antispam Bee for WordPress http://antispambee.com – the plugin was developed by me and is very very effective. Excellent post, I was being hit with the bogus posts daily. I was blocking email address’s and sites but as you know they just make new ones and continue. I just installed spam-free sounds like this is the way to go. I may use Diquis in the future if it continues. Very helpful post thanks for posting it. If you ever come across something we host that’s spam just drop the link there and someone will look at it within an hour or so. Akismet and a few other internal tools help, but I think it’s mostly that we take splogs pretty seriously and respond accordingly. I think your blog post is very nice. I didn’t discover anything about it precise within the past. I commented for years on Newsbusters and later on at Breibart. I rather know that people are being targetted, s.w.a.t.t.i.n.g, and for the leftist crime of being a conservative. Why should anyone risk having to register their names given the ongoing threat of systems being compromised? Why ought anybody give Craigslist.org a phone number, for example, in order to post anything political? After Newsbusters adopted diquis, I stopped contributing, and the same went for Breibart. It does not seem that they’ve really gained much in return. I’d mostly read, to be honest, but always skipped ahead to see whether the feathers were flying. If so, I’d read the article. Just a rule of thumb for me, since I read hundreds of blogs each day besides the new media. Well, good luck all. 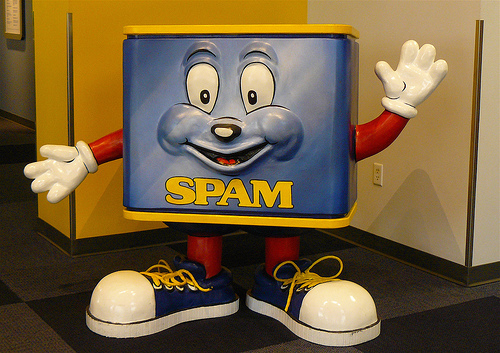 This is a great article in preventing blog spammers. Those who are having troubles with such are surely grateful of this post. Thank you for sharing. SO much human spam in the comments, lol… Seriously anti-spam post gets spammed up with no moderation.